This product has been discontinued. We recommend Unitech MS380. 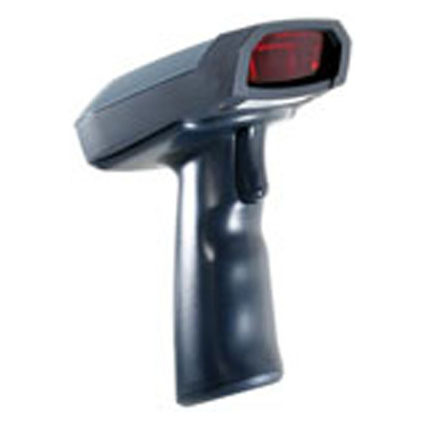 The Unitech MS860 barcode scanner offers aggressive laser scanning and multiple wireless communications options, ensuring compatibility with most scanning environments. Available with your choice of Bluetooth or 802.11b radios, the MS860 has a line-of-sight radio range of 110 feet or 328 feet, respectively. Regardless of your building size, there´s an MS860 that´ll fit your needs. The laser scanner on the MS860 provides quick reads of retail barcodes from up to 25" away, speeding up scanning in most retail environments. A max scan speed of 25 scans per second promotes quick scanning and keeps up with most scanning applications. Unitech built the MS860 to hold up to rough retail and light industrial environments, protecting your investment from the drops and damage. The rugged body withstands drops of 5 feet to concrete, saving it from the accidental knock off a table or desk. A 1 year warranty comes standard with the MS860. • Scanner: 3.5" x 5.1" x 5.6"
• Cradle: 3.9" x 8.22" x 2.26"